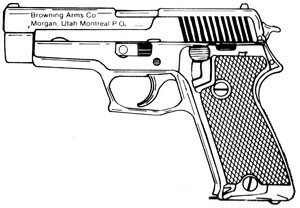 Distributed in the US by Browning, manufactured by Sauer. Introduced in 1977, fixed sights, double action. Basically the same as the Sig-Sauer P220.